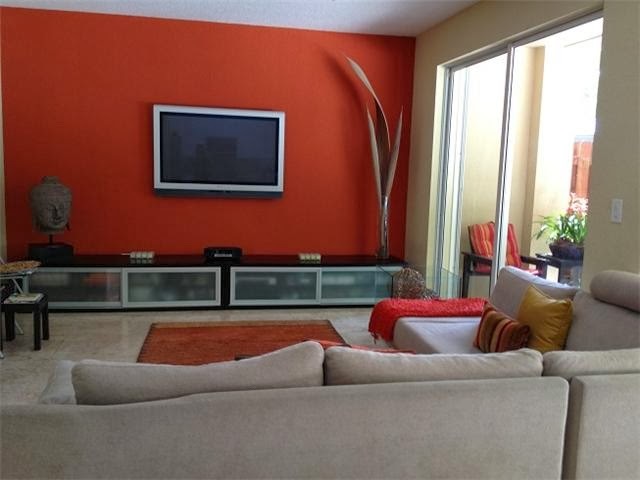 Not only is this a beautiful home, it is a beautiful home in Doral Isles. 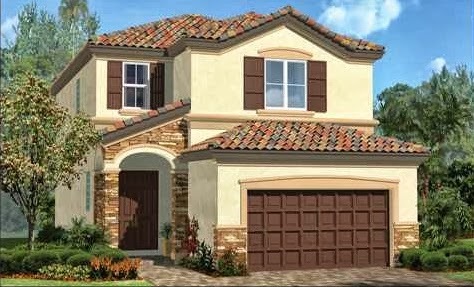 With over 2,600 square feet, this short sale is a great opportunity to buy a beautiful home with a contemporary interior in one of Doral’s premiere communities. Some of its features include marble floors, a large kitchen with granite counter tops, gorgeous bathrooms, an outdoor patio with retractable shade, private pool and more. In addition, Doral Isles has amazing community amenities with a soccer field, two community pools (one is like those at a resort), and fitness center just to name a few. A short sale in the Islands at Doral is a great deal in and of itself. This one is one of the best because it faces a nice park with lots of green space. The 3,600-square foot home offers five bedrooms, four and a half baths that includes a gorgeous master suite with sitting area and huge spa-like bath. 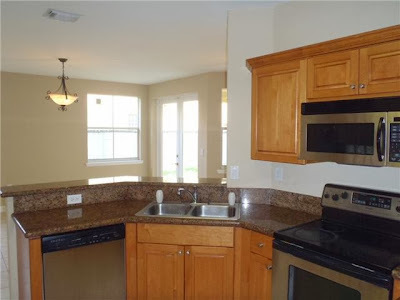 Additionally, the kitchen features granite counter tops, stainless steel appliances and tons of custom cabinets. Other features include a wonderful loft, two terraces, and so much more. The amazing community amenities include a large pool, great playground, tennis and basketball courts, picnic pavilions surrounding a lake and more. “Wow” is the first word to come to mind at the entrance of this home. Located in guard-gated Biarritz, this short sale features three bedrooms and two and a half bath under 2,310 square feet. Additionally, there are details like a maple staircase, hardwood floors, beautiful open rooms with modern light fixtures, arched doorways, a large master bath and more. The kitchen is big and everything that buyers want like granite counter tops, tons of cabinets, and stainless steel appliances. The over-size garage accommodates two cars and has tons of cabinets. For interested buyers, this is a Fannie Mae Homepath property and can be purchases with as little as 3 percent down. This short sale is located in the gated community of Balmoral and has five bedrooms and three bathrooms along with a large two-car garage. With 2,442 square feet, an amazing kitchen, ceramic flooring and a tile barrel roof, this is an exquisite home in a beautiful neighborhood. Community amenities include a clubhouse, pool and picnic area. Additionally, Balmoral is perfectly situated near A-rated schools and shopping as well as the main thoroughfares into and out of Miami-Dade County. Another gorgeous Doral Isles home, this three-bedroom, three-bath home features a master bedroom on the main floor along with an open and airy family room, a nice kitchen with lots of granite counter space, and so much more. Living in Doral Isles is like living at a tropical resort with a huge community pool, tennis and basketball courts, playground and more. This is a wonderful opportunity for a second or vacation home as well as a nice residence for an international executive who spends quite a bit of time in Doral. Additionally, this home is approved for Home Path Mortgage financing with only 3 percent down. With over 60 short sales listed on the Miami-Dade MLS, there are plenty of good deals for which buyers should take advantage. Whether a full-time residence, second or vacation home, or rental investment, these short sales are worth consideration to those who are seriously interested in Doral real estate.